Real Estate development, flip houses, built subdivision, ... etc. I am the main lead agent re-selling all built properties. 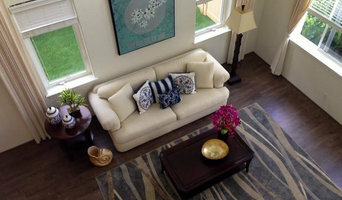 Own the staging company and stage all houses that goes on the market. AAA Termite & Pest Control Inc. 45-171 Ohaha Place Kaneohe, HI 96744, United States 808-247-5533 <a rel="nofollow" target="_blank" href="http://www.aaatermiteandpest.com/">http://www.aaatermiteandpest.com/</a> Little critters and crawlers are not welcome in your home, so why are they still there? If insects and pests are a nuisance in your house, trust that the exterminators at AAA Termite Pest Control Inc.are ready to help control the situation and get your home back in order.With over 40 years of experience, AAA Termite Pest Control Inc has been controlling pest and insect outbreaks throughoutOʻahu with quick and effective treatments. As the insect and bug exterminators Hawaii trusts for residential and commercial pest control, they have the expertise you need to make your home pest-free. AAA Termite Pest Control Inc. provides a variety of services, including: Termidor Liquid Treatment Ground Termite Treatment Construction Pre-Treatment Pest Control For Ants, Roaches, Rodents, Centipedes Termites,Wasps, Fleas Ticks Honey Bee Bird Removal Termite Inspection Reports With AAA Termite Pest Control Inc., they'll check every nook and cranny to ensure your home is completely free of unwanted pests. Withexperienced techniciansavailable island-wide, AAA Termite Pest Control Inc. is the reliable pest control company that guarantees to solve pest problems as quickly and efficiently as possible. As a family-owned and operated company, they treat top-notch customer service as a first priority so they can better serve the community and their neighbors. For insect and pest invasions, call AAA Termite Pest Control at (808) 247-5533to receive fast-acting and reliable pest control services. If you have any questions, you can also contact Hawaii's best exterminators byemail or visit themonline.